Honey Pot is proud to offer great tasting and easy ways to consume cannabis. Our goal is to provide remedies from natural resources to help patients get through their days in comfort and wellness. Honey Pot offers cannabis paired with other natural ingredients to maximize the benefits while eliciting a sweet and delectable flavor. Californians can stir a little sunshine into their life, with Honey Pot cannabis infused wildflower honey. chain fats to aid in absorption of the high quality cannabis oil. The three come together to create a trifecta of powerful and delicious cannabis honey. Honey Pot not only offers our infused Honey Pot but we also craft cannabis-infused topicals and teas. 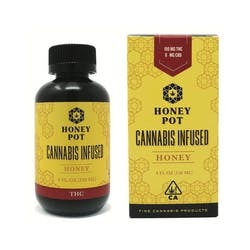 Honey Pot's original Indica infused honey is available in 4 fl oz and 2 fl oz bottles. Honey Pot has created a CBD line of Honey Pot for patients in need of cannabis without any psychoactive effects. Just like Honey Pot's Indica counterpart, these sweet treats are available in two bottle sizes. Honey Pot's Tea Pot offers patients three flavors of cannabis-infused teas. Winner of 2017 High Times Cannabis Cup World's Best CBD Edible is our Chamomile Lavender Peppermint Tea, offering a soothing way to wind down. Other trophy-teas include their Calendula Guava Mango Black Tea, which took 2017 World's Best edible and their Sencha Green Tea which also won best edible in the High Times Cannabis Cup. Honey Pot's topicals are made with natural ingredients to make your bare skin feel great while providing relieving cannabis. Our Balm is available as a 100 mg and 300 mg jar, and has won multiple best topical in the High Times Cannabis Cup. Other Cannabis Cup winners are infused Body Lotion, a cannabis lotion containing lavender, wildflower honey, aloe vera, and a host of other beneficial essential oils. Honey Pot's mission is to provide widespread relief and are committed to creating products that meet the needs of everyone in the cannabis community. 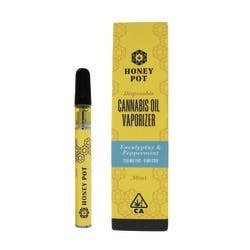 Honey Pot has been involved in multiple areas of the cannabis industry and is eager to continue collaborating with other cannabis enthusiasts. Honey Pot has won 14 Cannabis Cups and featured on Viceland’s Bong Appetit, Newsweek, Netflix's Disjointed, and many more. Honey Pot offers their cannabis infused line of products for Adults over 21 in California. So excited to see Honey Pot again! I've been missing their honey in my coffee every morning! if you haven't had a chance to try it, please do! 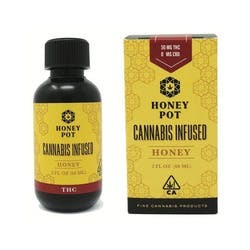 If they don't have Honey Pot in shops near you, I suggest you tell them & get it in your town! love it!